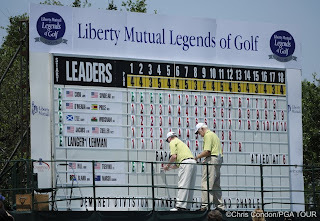 The Liberty Mutual Legends of Golf is one of my favorite tournaments. 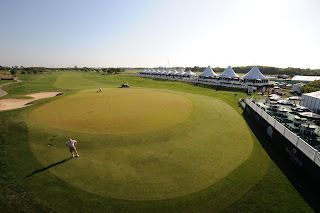 It's a team competition and different than the regular stroke-play events we have week-to-week. 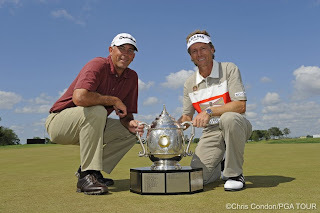 Bernhard Langer and Tom Lehman won in exciting fashion! 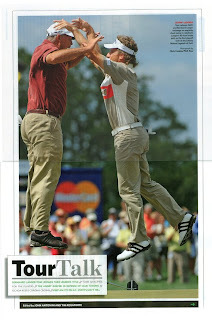 Golfworld ran this as a spread. 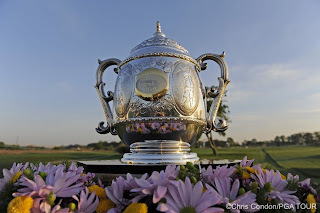 One of my favorite trophies. 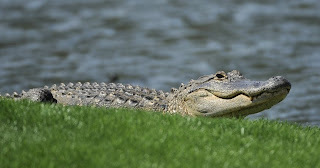 A few locals checked out the action. 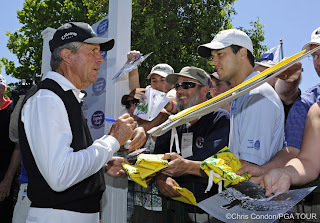 It's a fun week because the players (No pun intended) are really fan-friendly and interact a lot with the galleries. 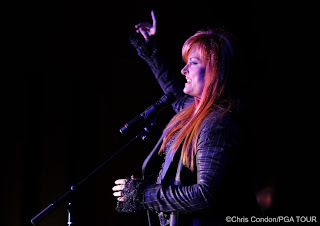 Wynona Judd performed at the Pro-Am awards dinner. She put on a great show and her backing band was great. 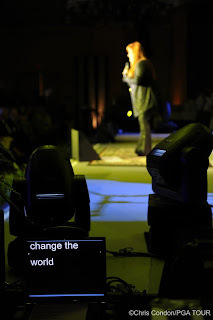 A side stage view of her teleprompter which displayed song lyrics. 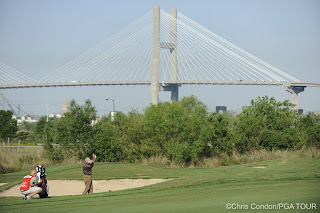 The bridge to Hutchinson island is a major landmark to the people of Savannah. Volunteers work the summary board on #18. 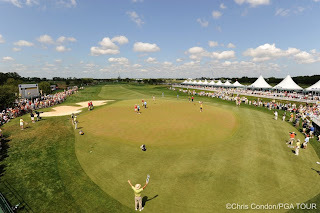 I set up a remote on the 18th green TV tower. JR supervises and makes sure that he gets my cameras if I fall! The final result. To the victors go the spoils. Congrats Tom and Berhnhard!